CourageJD uses an alternate account to duo with random players and one young fan breaks down it tears. CourageJD is one of the most respected gaming personalities in the entire world. From funny streams to major Fortnite event commentary, there is nothing that CourageJD can’t do. 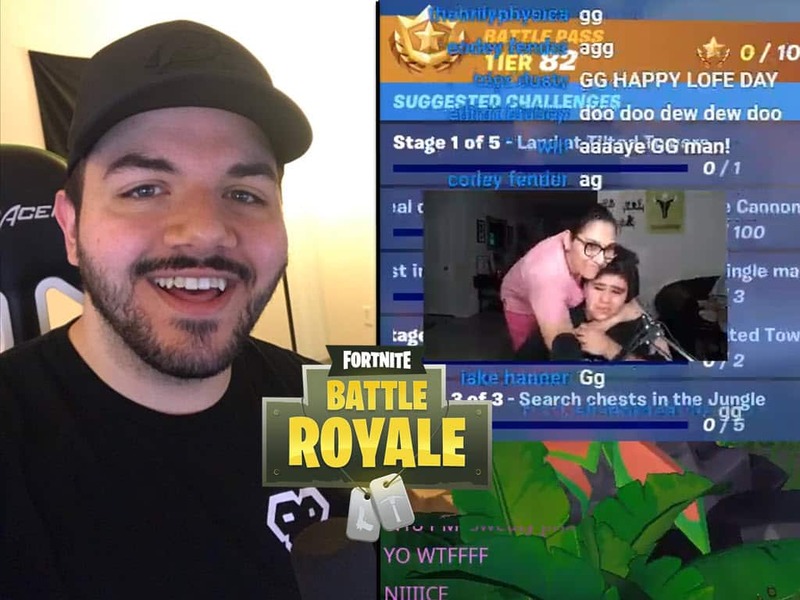 Well maybe there is one thing, and that is to stop a young fan from breaking down in tears of joy after surprising him in a Fortnite game. During a daily Fortnite stream, CourageJD uses an alternate account, to hide is identity, as he is randomly paired with other players. It’s funny to see how players react when they find out the face behind the voice is actually CourageJD. Midway through his stream, Courage is paired up with a player called Oscarofsteel_YT. It does not take long for Oscar to recognize the mysterious voice as Courage confirms, that he is the “Real Courage.” Oscar gets confirmation that it’s not a hoax as he sees Courage live streaming his game on Twitch. The young youtuber then decides to fire up his youtube livestream. Once Oscar’s live stream starts, both his subs and CourageJD’s viewers start to flock to Oscar’s channel. Many of his fans think they are being clickbaited, but quickly find out that the mysterious player is actually the real CourageJD. It’s a that point, when Oscar’s viewers and subscribers start climbing by the second, that the young Youtuber becomes overwhelmed with disbelief before shedding tears of joy. Oscar’s dream day could not have ended any better as they actually win the game. Once back in the lobby, Courage pops open Oscar’s stream to see his reaction. Courage continues to show why he is so respected and like throughout the community. Although only a handful of streamers ever rise to stardom, it’s the smallest things that count most. Oscar is an example of what type of influence content creators have on a younger audience. Well done Courage.